"How to Raise a Child with Down Syndrome" with advice and resources. 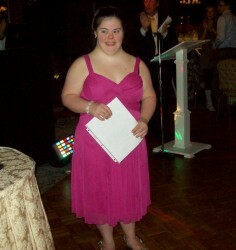 Network21 is a parent-run network of families with Down syndrome in Central New Jersey. We connect and support parents, caregivers, and individuals with Down syndrome. 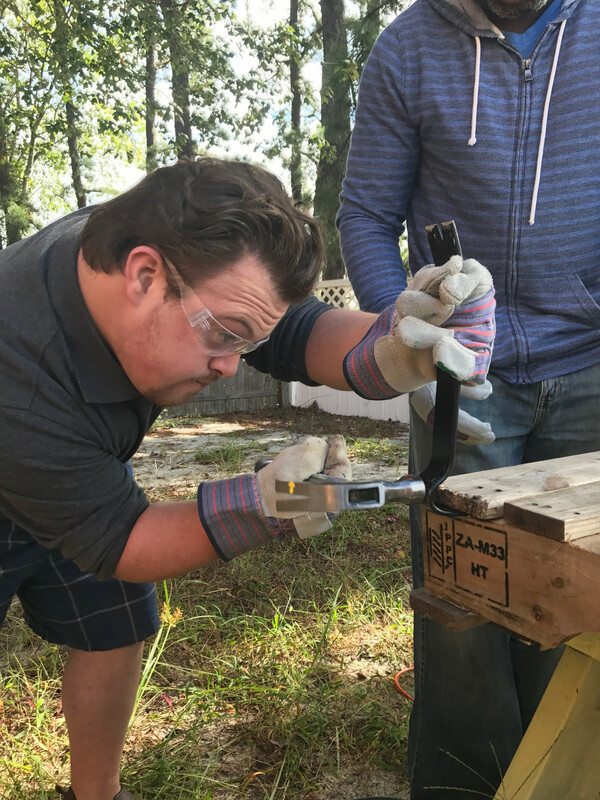 We identify and share resources that can better provide for the needs of individuals with Down syndrome in our community. We host regular Family Fun events that encourage parents, siblings and children with Down syndrome to connect and have fun. Visit the Meetings Page for more information on these events. Click Here to visit their website for detailed information on channels, times and dates. Thank you for coming to the Gala. I am Eileen Merritt. I am 24 years old. Since I was a newborn baby, I have been part of FRA. •	Today, I go to Brookdale College. I have been taking courses for the past three years. I loved Sign Language and Theatre and Painting and Drawing. •	Now I am taking VOICE ; I have the support of the PROFESSOR, Carly, my support person Cristina and my mom and DAD and sister Nora AND my brother in law John, all my Aunts and Uncles and Cousins and my dear Friend, Suzanne. (My teacher) Joanne taught me how to have my own email safely. (My teacher) Paula has taught me how to handle Bullies. Sue Levine,MS, helps me with my problems as a young woman. •	For 4 years I have worked at a Day Care Center(Dream Builder’s Academy) and handle 3 and 4 year olds. They call me Miss Eileen! Dance teacher, Janine, invited me to help the little ones at FRA Dance Class with her. I love assisting each of them! Thank you, FRA, parents and friends! Enjoy the GALA!!!!! 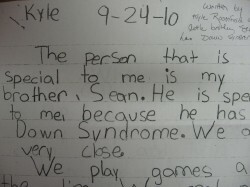 Click here to read a paper written by Kyle Rosenfeld about his little brother, Sean, who has Down syndrome. Click here to watch an adorable video of a little boy doing a rap song about his sister w/Down syndrome!! Click here to read Kelle Hampton's Blog! 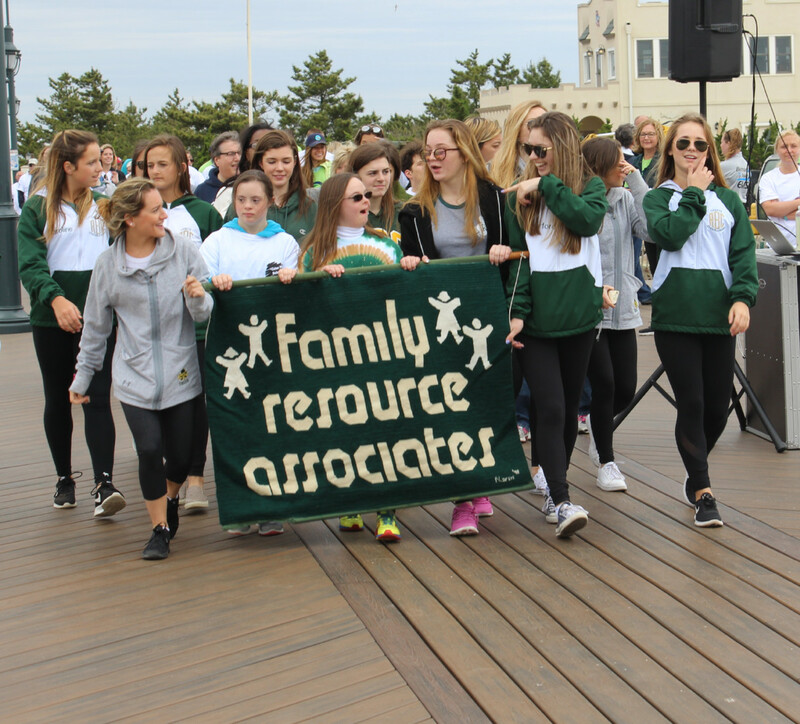 The Down Syndrome Parent Support Group, for parents with a child of any age with Down syndrome, meets four times per year in host family homes throughout Monmouth County. Each meeting has information, support and socializing and a guest speaker. Topics include: medical issues, social relationships, behavior, long-term goals, inclusion, housing, conference reviews, and much more. This group is an affiliate of the National Down Syndrome Society. The Meeting of the Moms provides parents with the opportunity to discuss issues of importance to families with young children, such as coping with the diagnosis of Down syndrome, and dealing with family members, friends and the community. 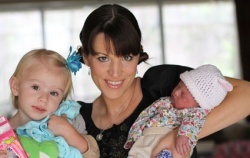 Questions regarding medical concerns and developmental milestones are answered as well. Parents share ideas, parenting successes and community resources that have been helpful. The group meets monthly at 7:30 - 9:00 PM at FRA. Information, support and play time for the kids are part of each meeting. Call to RSVP by noon of the scheduled day. If we have less than 3 people planning to attend, the meeting may be canceled. One-to-one peer support can be arranged individually by the staff. Speaking with another parent who is coping with similar circumstances developmentally or medically with their child can be a source of emotional support. The information packet and books are FREE to eligible families in the greater Monmouth County, NJ area, depending on availability. Please call Sue L. at FRA (732-747-5310) to inquire. 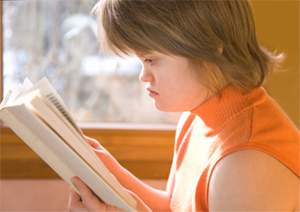 Library Resources -- FRA maintains a book lending library with several books related to medical, developmental and educational issues in children with Down syndrome. Books can be borrowed for three week periods by individuals in the local area. You may stop by the office to borrow books in the library.